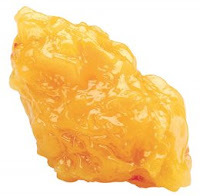 Healthcare professionals in the UK are being given 5 pound rubber blobs of fake fat to help motivate their patients to lose weight. It’s part of the Obesity Tool Kit being distributed by the Hereford Primary Care Trust and Herefordshire Hospitals NHS Trust. According to the manager of its obesity programme, the replica of body fat can be very helpful in motivating people and they hope the kits will support their GP practices to encourage healthy eating and active lifestyles. People in the UK have come to see the full reality of what emerges when government officials get together with high level stakeholders and declare a public health crisis that threatens the country’s future unless drastic government action is taken. The government’s idea of science and evidence-based health policies are not how medical professionals or scientists would define them. Last year, when the UK government’s Foresight Programme of the Office of Science and Technology released its Foresight Tackling Obesities: Future Choices Project report, proposing some of the most massive governmental anti-obesity policies in the history of the world, most people were incredulous. The proposals were so Orwellian, it was inconceivable they would ever actually be enacted. These past few weeks, the UK news has been chronicling one after another of those proposals in action since the launch of the $631.52 million Change4Life campaign. People are realizing they were actually serious. The “Healthy Weight, Healthy Lives” obesity toolkit of national strategies to put the report into action, also from Foresight, had been issued last year by the National Heart Forum along with the Faculty of Public Health, the Department of Health, and the Department for Children, Schools and Families. Among its proposals is the Government strategy of a national child measurement program, to weigh and measure each child, and was eagerly adopted by Herefordshire Primary Care Trust. Its obesity program manager, Catherine Floyd told the Hereford Times in May that the first year’s results were right on target with the government’s goals. As a result, children were being referred for weight management classes held around Herefordshire. One such program was profiled in the newspaper. Slimming World consultant, Liz Clark, was reported as giving children such unsound nutritional and weight information as their “diets are full of fat, sugar and salt and these are all things that slow down the metabolism.” She said she believed most fat people have emotional problems and overeat, “and children are no exception.” A young 12-year old girl who was bigger than her siblings even though the entire family had been eating very healthy foods at home and doctors could find no health problem with her, was sent to those weight loss classes while in primary school. The young girl told the newspaper that she has learned to be happier and feel better about herself by losing weight using “extraordinary willpower.” What will also be upsetting for medical and nutrition professionals and eating disorder specialists to also read was the young prepubescent girl add that she’s learned that she cannot combine protein with carbohydrates and has eliminated those from her diet, but “don’t miss any of it” because now that she’s losing weight, she shops for clothes, participates in games and feels good about herself. There is no sound science to support unbalanced diets as healthful for growing girls or that dieting and body image concerns in young girls are harmless. It goes without saying, there is not a single randomized clinical trial showing that rubber fat is effective in the long-term treatment of obesity. Or that it is the best use of limited public healthcare resources.